Read about David Adelman on EmoryWire. Read about Richard Hubert on EmoryWire. 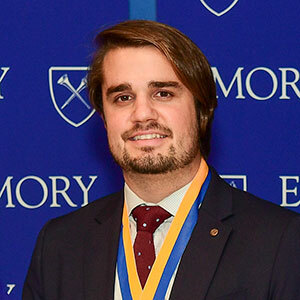 More about the 2018 Emory Medalists at our media center. Perry Brickman 53C has a long history of involvement in the Atlanta community. 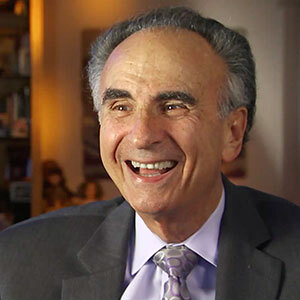 A retired oral surgeon, he was born and raised in Chattanooga, Tennessee. While attending Emory University, he met his future wife, the former Shirley Berkowitz. Brickman earned degrees from the University of Chattanooga, the University of Tennessee School of Dentistry, and the Graduate School of Medicine of the University of Pennsylvania. Brickman is a long-time supporter of Emory University and the pursuit of Jewish studies through volunteer service and philanthropy. To continue the legacy of intellectual exploration and historical preservation at Emory, the Brickmans established the Brickman/Levin Award to support doctoral students in the Laney Graduate School working with graduate faculty in the Jewish Studies Program. Brickman has ensured the legacy of a Greek life experience through support for the Alpha Epsilon Pi fraternity house. In addition, the Brickmans have pledged their support to numerous faculty endeavors, including the Holocaust Denial Trial Endowment. 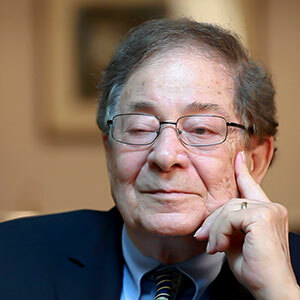 This year, the Brickmans will also celebrate the 40th anniversary of their participation in the establishment of the Jay and Leslie Cohen Chair of Judaic Studies, still occupied by its original recipient Professor David Blumenthal. Brickman served as a dental officer for two years in the U.S. Air Force and practiced oral surgery in the Atlanta area from 1961-2004. Brickman was a founding member and past President of the Georgia Society of Oral Surgeons. 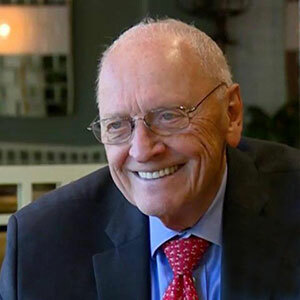 He was appointed by Governor Zell Miller to the Georgia Board of Dental Examiners, and served for seven years. He is an Honorable Fellow of the Georgia Dental Association. discrimination faced by Jewish dental students between 1948-61. In 2013, Brickman was presented the first “Centennial Champion Award” at the Anti-Defamation League’s (ADL) 100th anniversary celebration in Palm Beach, Florida. In 2014, Brickman was awarded the Lifetime Achievement Award by the Georgia Society of Oral and Maxillofacial Surgeons and received the Alpha Epsilon Pi Fraternity’s Centennial Leadership Award. In 2015, he was awarded the Lifetime Achievement Award by the Jewish Federation of Greater Atlanta. In the early 1990s, Brickman served as president of the Jewish Federation of Greater Atlanta. He is a board member of the Atlanta Jewish Academy, the Marcus Jewish Community Center of Atlanta, Atlanta Israel Bonds, Northwest Hospital Corporation, Georgia Israel Law Enforcement Exchange (GILEE), the Southeastern Region of ADL, and The Southern Jewish Historical Society. The Brickmans are past recipients of the City Wide Israel Bonds Award and B'nai Brith Gate City Lodge Community Service Award, and were also honored by Yeshiva High School of Atlanta and Torah Day School of Atlanta. Married for 61 years, they are proud parents of Lori Brickman, Teresa Finer (Dr. Paul) and Jeff Brickman (Susan). The Brickmans have six grandchildren: Jason, Jessica, Elena, Talia, Joseph and Anna. 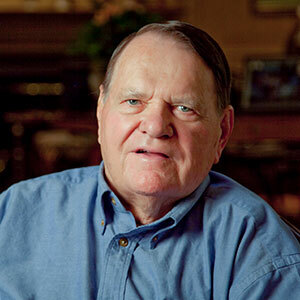 Charles H. “Pete” McTier 61B is an Emeritus Trustee of Emory University. He is past president of the Robert W. Woodruff Foundation, Joseph B. Whitehead Foundation, Lettie Pate Evans Foundation, Lettie Pate Whitehead Foundation, and Ichauway, Inc., each of which share a common administrative arrangement in Atlanta. McTier also served the Woodruff, Joseph B. Whitehead, Evans Foundation, and Ichauway, Inc. as a trustee. McTier was associated with these foundations for more than 44 years, beginning in 1971. He retired from the foundation boards in 2015. During his 18 years’ service as president, he led the foundations as they played active roles in many of Atlanta's major civic initiatives including creation of Centennial Olympic Park and the Chattahoochee River Greenway, establishment of The Joseph W. Jones Ecological Research Center at Ichauway, as well as advancements at the Woodruff Arts Center, Central Atlanta Progress, and the Georgia Research Alliance in addition to numerous major projects at Emory and related institutions. 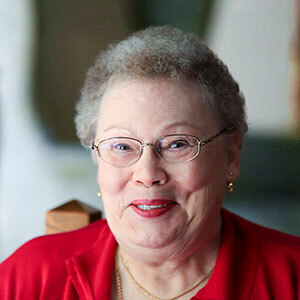 trustee, McTier has served on the Executive, Academic Affairs and Public Policy Committees, and continues to serve as a member of the Robert W. Woodruff Health Sciences Center Board. 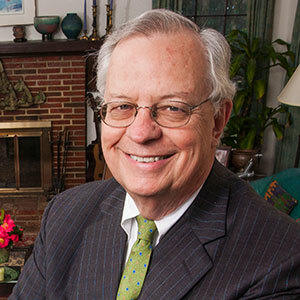 During his foundation service, McTier was active in regional and national foundation associations, having served as a chair of the Foundation Center Board of Trustees, a vice chair of the Council on Foundations Board of Directors, and a past chair and trustee of the Southeastern Council of Foundations. McTier served three terms as a commissioner of the Joint Commission on Accreditation of Health Care Organizations. He has been a member of the President's Circle of the National Academies. For five years he chaired the Sixth District Rhodes Scholarship Selection Committee. Currently, McTier is a director of Coca-Cola Fomento Económico Mexicano, S.A.B. de C.V (FEMSA) and the CDC Foundation. He is a trustee of the Pediatric Center of Georgia, the Georgia Research Alliance and the Task Force for Global Health. He is a past director of AGL Resources and SunTrust Bank, Atlanta, and a past president of The Commerce Club. He and his wife, Marcy, live in Atlanta and Lake Toxaway, North Carolina. They are longtime members of Glenn Memorial United Methodist Church and have two married children, Margaret M. Dalbey and Charles H. McTier Jr., and a grandson Jack McTier. Paul M. McLarty Jr., an ardent supporter of Emory and of his fraternity, Alpha Tau Omega. A former president of the Emory Alumni Board, McLarty has served on the Board of Visitors, the University Senate, Law Alumni and Advisory Boards, and the Board of Governors. 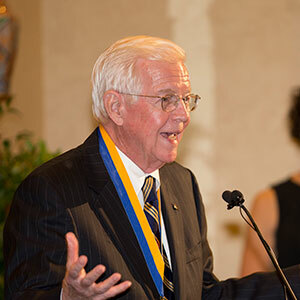 His passion for Emory is evident through his philanthropy as well as his tireless service. He, together with his wife Ruth, helped create endowed scholarships at Emory College and the School of Law, and they were major donors to the construction of the Miller-Ward Alumni House. McLarty is a retired senior partner of McLarty, Robinson & Van Voorhies LLP. On campus and off, McLarty is well known for his dedication to students. He genuinely cares about them and their success, and has acted as mentor to countless Emory students through the years. 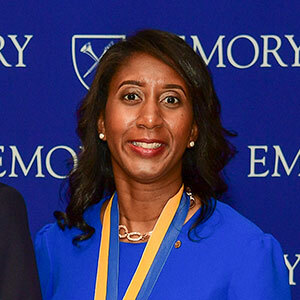 His enthusiasm for Emory and his commitment to giving back are contagious and are responsible for the development of generations of Emory supporters. As one of his protégés observed, "Paul molds grateful alumni." The Emory chapter of Alpha Tau Omega stands as an example to the national fraternity, and to Greek organizations in general, due in great part to McLarty’s involvement and influence. He has served as alumni adviser to the group for 25 years. In that time, he has transformed the fraternity. His active engagement includes attendance at regular chapter meetings, and hosting retreats for new pledges and for annual planning and receptions for graduating seniors and their parents. The results of his work are remarkable. ATO members at Emory are consistently recognized among the highest-achieving students on campus and remain involved with the university, as well as the chapter, long after graduation. At a time when the fraternity system is coming under fire nationally, the Emory ATO chapter serves as a model for the future of Greek life. 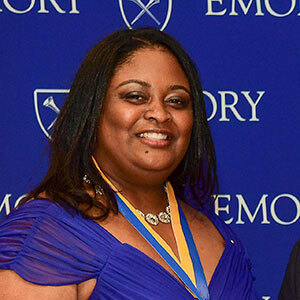 McLarty and his wife, Ruth, divide their time between Atlanta and Highlands, North Carolina, where they often host Emory events. McLarty has two children and four grandchildren. Cecil B. Wilson, an internist from Winter Park, Florida, is a medical leader with global reach who exemplifies service to the community. He was president of the World Medical Association (WMA) in 2012-13. 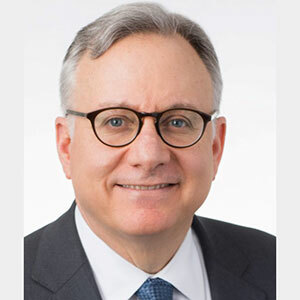 Wilson is chair of the American Medical Association delegation to the WMA, and has served as a member of WMA committees on Medical Ethics, Finance and Planning, and Socio-Medical Affairs. Wilson’s commitment to the betterment of medicine is evident. He has served for the past four years as a private sector advisor to the United States Delegation to the World Health Assembly at the World Health Organization in Geneva. He has held numerous leadership positions in the American Medical Association (AMA), including inauguration as the 165th president in 2010. He served as member of the AMA Board 2002 to 2011 and as chairman of the Board of Trustees in 2006. He was a member of the AMA House of Delegates since 1992, and served two terms as a member of the AMA Council on Constitution and Bylaws. 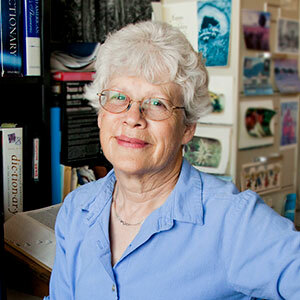 Wilson has a distinguished record of service and leadership in organized medicine. He was president of the Florida Medical Association (FMA), where he was recognized in 2003 with its highest award, the Certificate of Merit. Additionally, he is a former president of the Orange County Medical Society and of the medical staffs of the Winter Park Memorial Hospital and Florida Hospital Medical Center in Orlando. After receiving his bachelor’s degree in history and his medical doctorate from Emory University, Dr. Wilson interned at the U.S. Naval Hospital Portsmouth, Va., and completed his residency in internal medicine at the U.S. Naval Hospital, San Diego. He served as a Navy flight surgeon, rising to the rank of commander. Board certified in internal medicine, Wilson operated a private practice in Central Florida for more than 30 years. 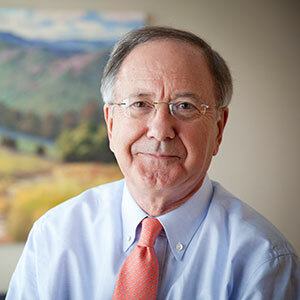 Wilson is a Master of the American College of Physicians (ACP) and is a past chair of its Board of Regents. He also served on the board of the American Society of Internal Medicine (ASIM), and was a member of the merger committee between ACP and ASIM which in 1998 resulted in the largest medical specialty society in the United States. 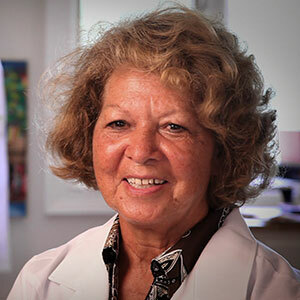 At the state level, Wilson has received awards for service to internal medicine including its Laureate Award from the Florida chapter of ACP in 1998. 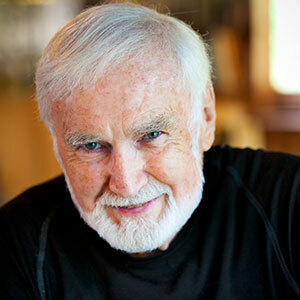 He was awarded the Arnold Patz Lifetime Achievement Award from the Emory University School of Medicine in 2010. Wilson is currently a national fellow and advisor for the Center for Global Health and Medical Diplomacy at the University of North Florida and a clinical professor in health administration in the Brooks College of Health at the university. He and his wife, Betty Jane, have two sons, a daughter, and three grandchildren. Judge William O'Kelley 51C 53L is a senior United States district judge for the Northern District of Georgia. He has been appointed to the Alien Terrorist Removal Court for successive five-year terms by Chief Justices Rehnquist and Roberts. He has brought honor to the name of Emory University by his distinguished career on the bench, and by his loyalty to the university, one nominator writes. His nomination also cites that he exercises "even judicial temperament, high ethical standards, and genuine concern for the needs of all who appear before him." His former law clerk states, "[he] has adjudicated without passion or prejudice, ensuring that the rule of law prevails. 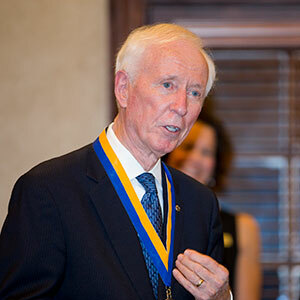 O'Kelley is a scholar and a teacher as well as the recipient of both the Emory Law School's Distinguished Alumnus Award and the Significant Sig Award from the national Sigma Chi Fraternity. The Judge William C. O'Kelley Endowed Scholarship Fund was created in his honor, spearheaded by Emory alumni who served as law clerks to Judge O'Kelley. 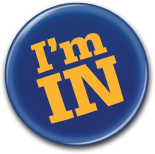 He has supported his alma mater as a mentor to students, by hiring Emory law students as law clerks, and through service on the Law Advisory Board, the Emory Board of Trustees, and numerous committees. In the Atlanta community and beyond, O'Kelley also serves leadership roles in numerous organizations and charitable foundations. 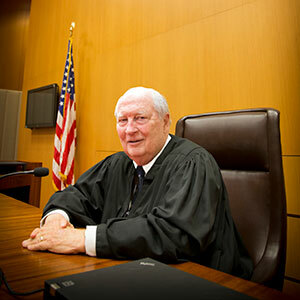 Judge O'Kelley was elected by his peers to the Judicial Conference of the United States (the governing body of the federal judiciary) and was nominated by Chief Justice Rehnquist and elected by the Judicial Conference to the Board of the Federal Judicial Center (the educational and training body of the federal judiciary). He is married to Ernestine (Teeny) Allen O'Kelley. The couple has two children - Virginia Leigh O'Kelley Wood and William C. (Bo) O'Kelley, Jr., five grandchildren, and one great granddaughter. 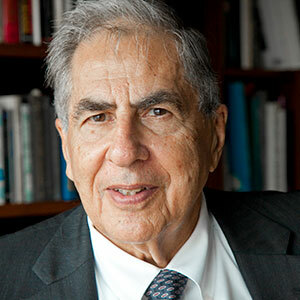 Named a 175 Emory Maker of History, Stephenson has spent his entire career in education administration and philanthropy. His associations with Emory-student, alumnus, administrator and unswerving advocate-have, in his words, provided a life-long source of pride and profound sense of appreciation for Emory's influence on my life. 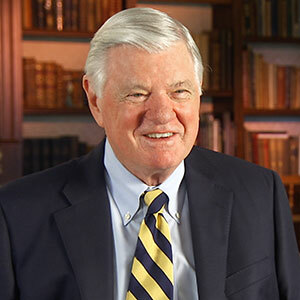 Over the years, Stephenson has counseled Emory students on their career aspirations, guided Emory officials in the course of his duties at the Foundation, and taken every opportunity to reveal to others Emory's strengths and values. 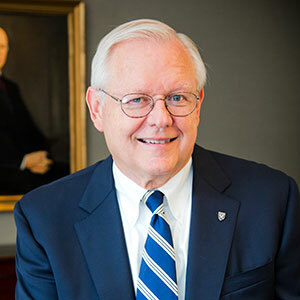 Stephenson received his bachelor's degree in economics from Emory College in 1970 and his master's degree in business administration from Southern Methodist University in 1973. While a student at Emory, Stephenson was president the Kappa Alpha Fraternity, president of the Emory Men's Glee Club, and among the founding members of Ad Hoc Productions. He was elected to Emory's Senior Society (DVS) as a member of the Class of 1970 and has remained close to DVS current and alumni membership, enjoying time with students and young alumni alike.